Hey friends! Sunday night I was talking with one of the younger women in our church about our Bible study. I shared that as much as I love teaching the Bible, I know one of my greatest responsibilities as a Bible teacher is to equip women to study for themselves. As our conversation progressed, I was reminded how often we talk about all the things growing Christians should do … but sometimes we are TERRIBLE at actually explaining how. It’s no secret here that I’m a big Bible study girl. I always say if I could only do one thing for the rest of my life it would be sitting with women studying the Word. 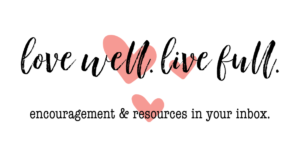 Over the past twenty or so years as I’ve been teaching, discipling, and mentoring women of all ages, one thing I’ve noticed is this: we all need help sometimes with studying the Bible. Some people need help getting started. Others find out they need to learn how to sustain a vibrant time in the Word. And many discover they need some wisdom about going deeper as they mature. And, the truth is, many (most? all?) of us find ourselves in all three of those places multiple times over the course of our lives. This week, I’m going to share three simple ways to study your Bible. There is nothing ground-breaking in what I’m sharing. You may have heard of each of them or seen the same ideas expressed in different ways. But here’s my hope — that you’ll be encouraged and equipped to move forward in your own study of God’s Word. This is the method I teach and use for my discipleship groups. It is designed to help you identify the main ideas of smaller chunks of Scripture (typically around 3 to 5 verses). You can use this method to help you work your way through a book or larger passage of Scripture. 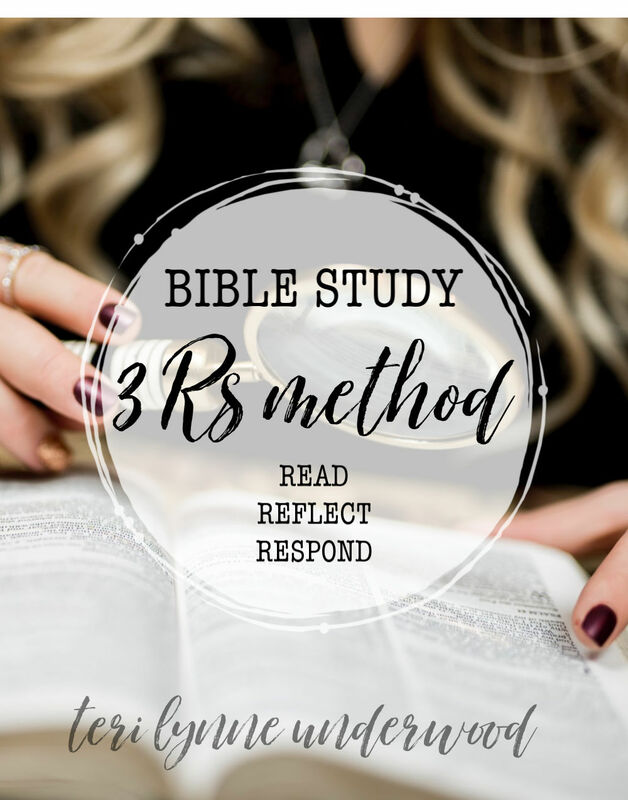 The 3 Rs method is great for people who have limited time each day or find it difficult to read and understand longer portions of Scripture in one sitting. Slowly read through the verses a few times. It may also be useful to read the verses aloud or listen to them via YouVersion or another Bible app. Make note of words or ideas that stand out, are repeated, or you are unclear about. Identify the main idea or focus of the verses. Write out a short summary of passage. Choose a key word or phrase to help you remember what you have read. Using what you have read and written, reflect on what you have learned about God and about yourself. Pray for wisdom and understanding to apply what you have gleaned in your life. This is a super easy way to begin studying Scripture. It works no matter what type of passage you are reading and really, no matter how long the passage is. I’ve taught this method to everyone from middle-school girls to senior adult women. It’s a doable, systematic approach to examining Scripture. I’m excited to share a few of the ways I study and teach others to study Scripture this week. I hope you’ll find some new tools for your Bible study arsenal. P.S. Do you have a favorite method for Bible study? Share in the comments!